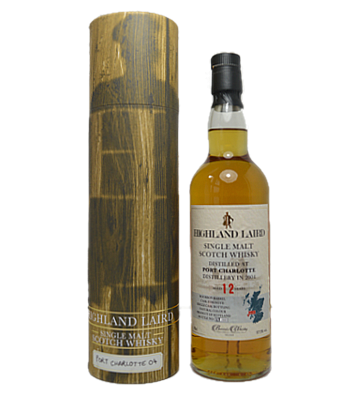 This is from the series Highland Laird from Bartels. It is from a Bourbon Barrel with the cask number #900 and only 225 bottles were made. Peat, dust and ashes in the smell. Some vanilla, bitter dry oak, hay and honey in the background. Marzipan sweetness and peat in the taste. Great amount of oak and some white fruits is noticeable in the background. Mainly some coconut and sweet pears. Some burned oak and burned caramel to accompany the peat in the finish. A great powerful peated single cask, but actually it isn’t too powerful even though it is almost 60%. Therefor you can drink it neat, or if you want to play with water, there is plenty of room for that. I will give this 86/100 (21/22/22/21).